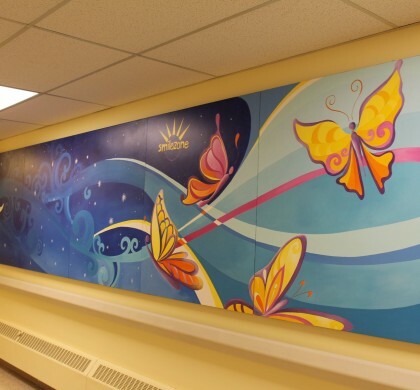 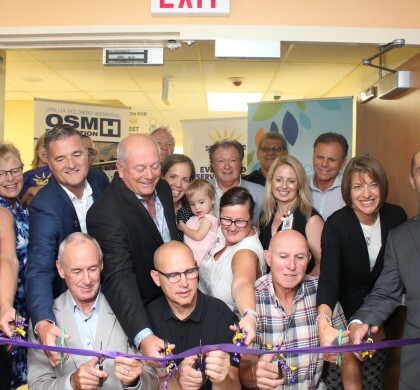 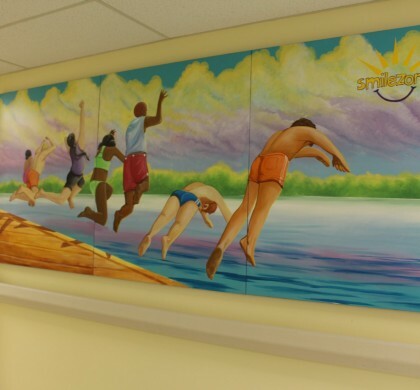 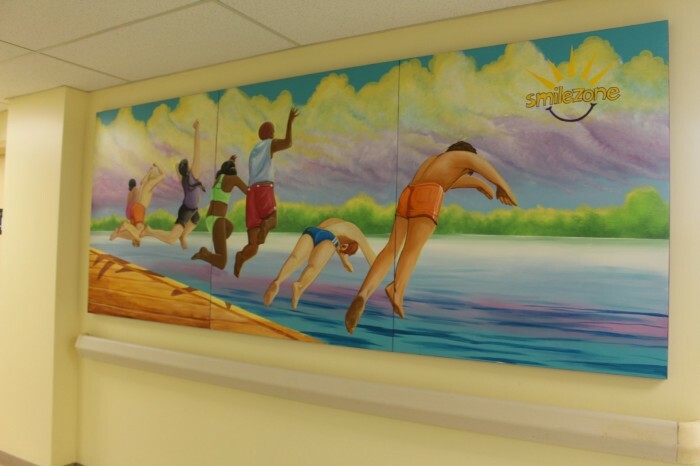 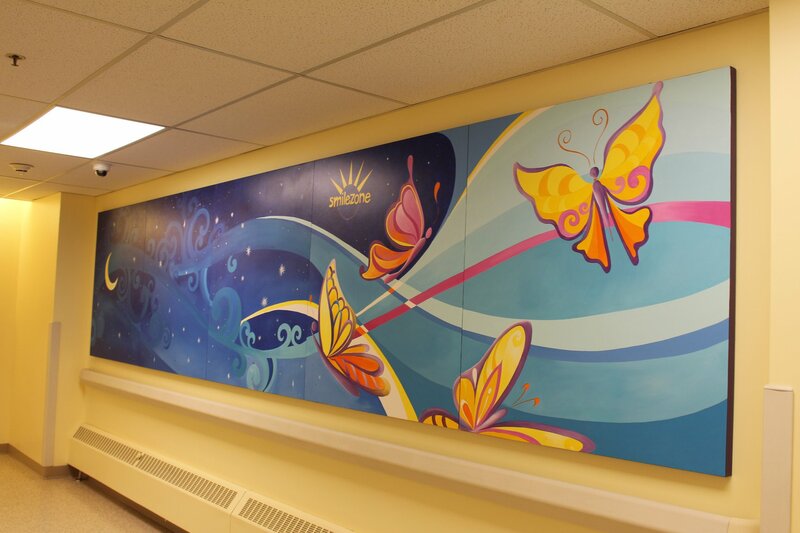 Over the first week of August 2018, the Smilezone team transformed 7 NEW SMILEZONES at Orillia Soldiers Memorial Hospital in Orillia, ON! 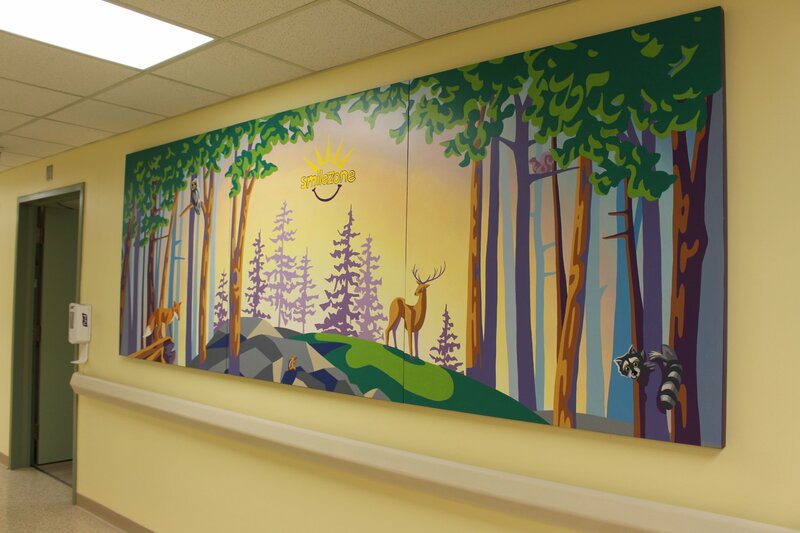 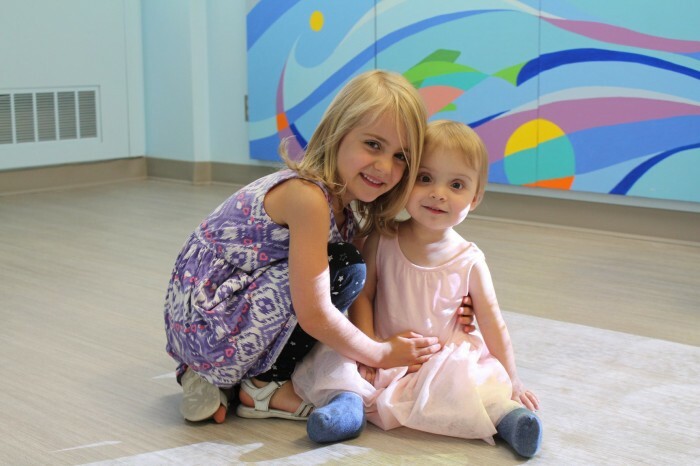 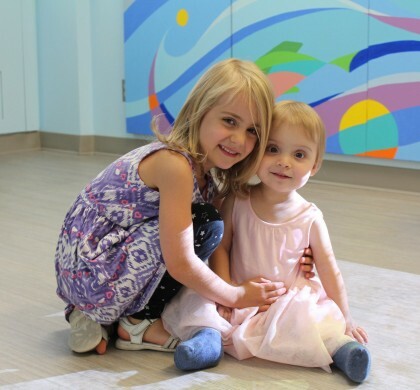 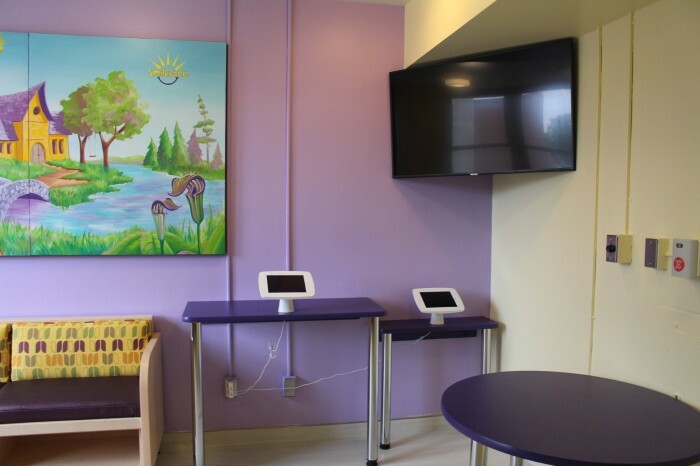 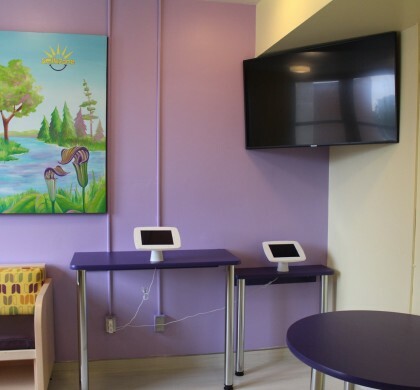 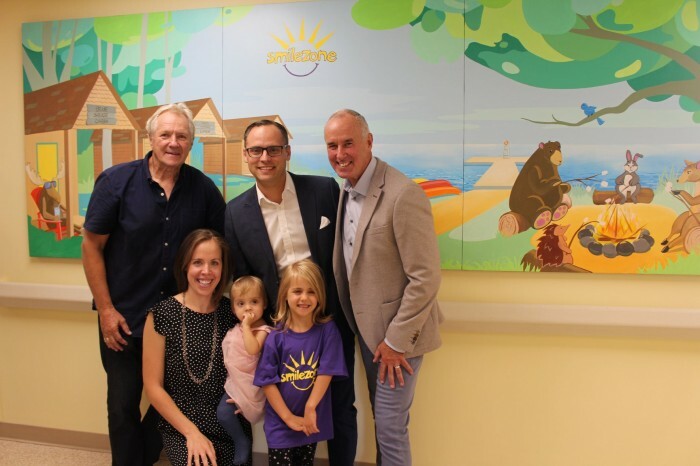 Orillia’s pediatric programs serve over 5,000 children annually, including those with cancer, juvenile diabetes, eating disorders, asthma, and mental-health issues. 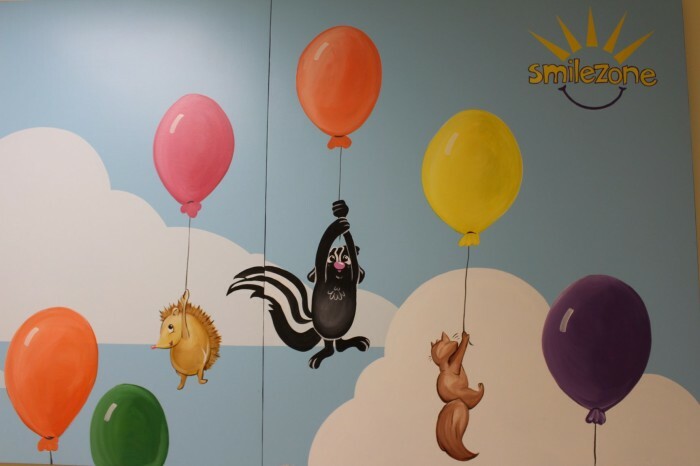 These children, as well as their siblings, parents, and other family members, will benefit from the hospital’s newly refurbished Smilezones. 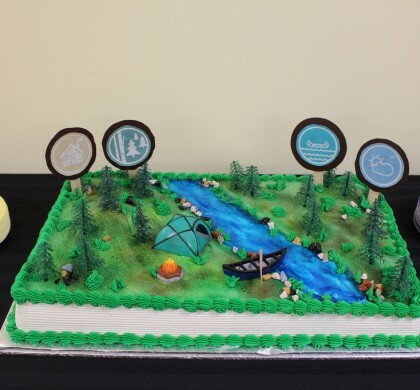 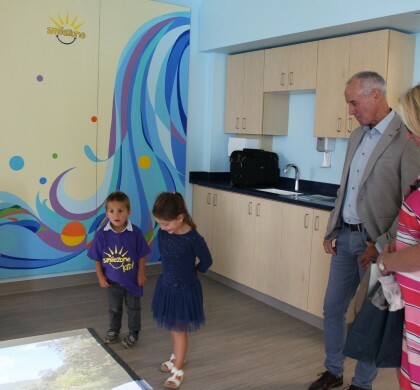 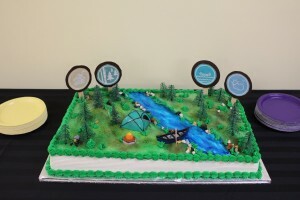 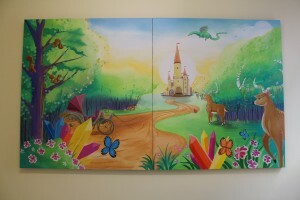 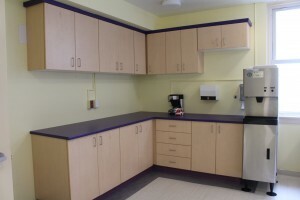 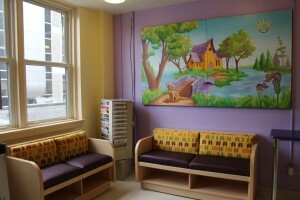 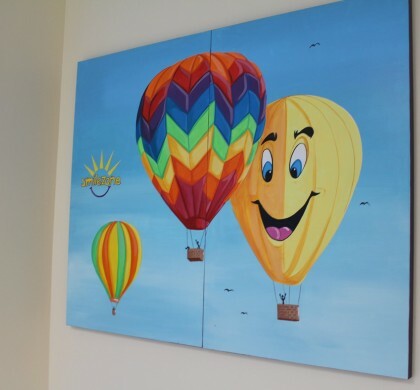 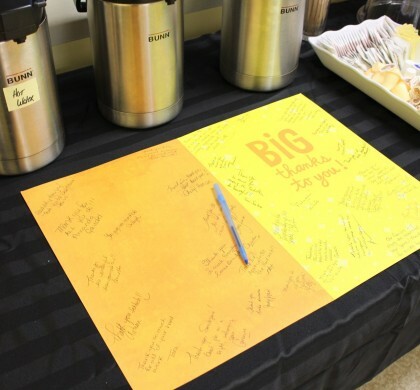 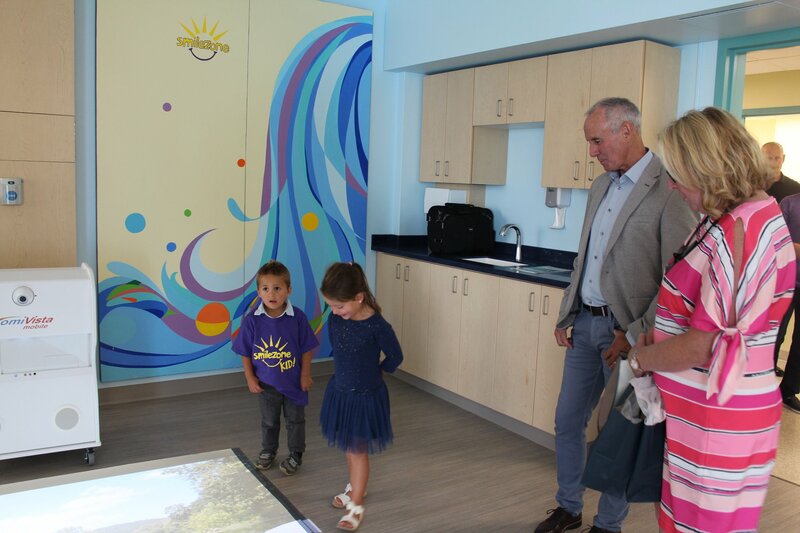 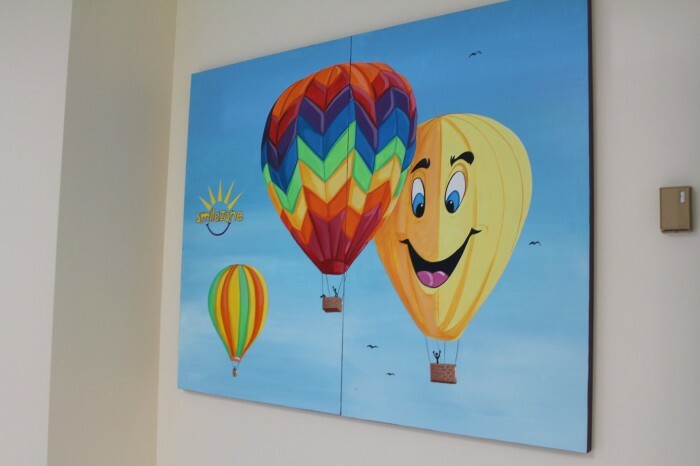 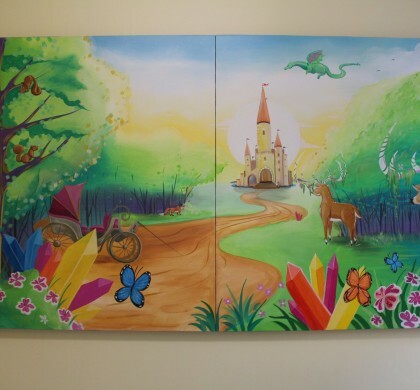 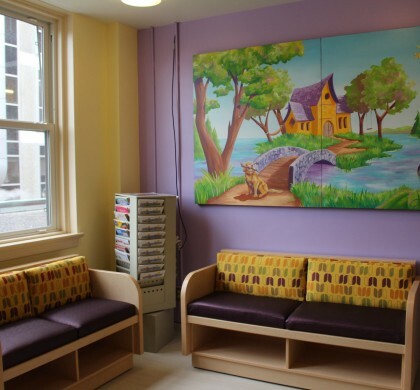 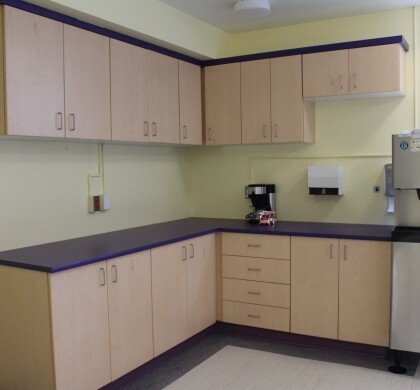 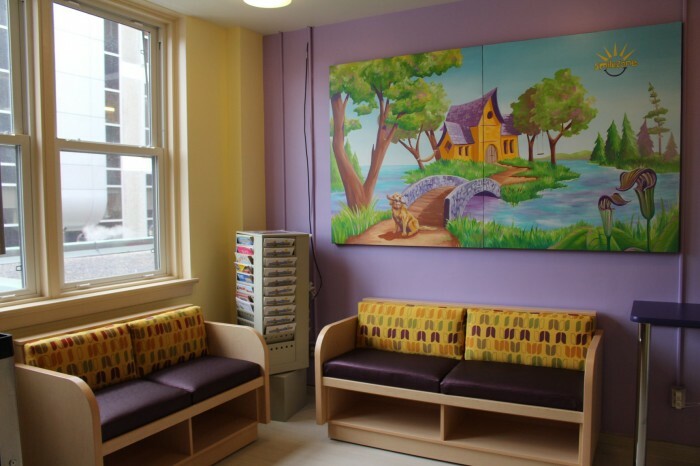 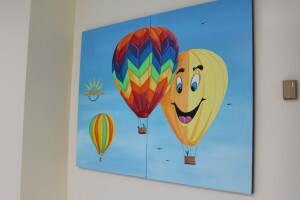 “When you walk into the newly renovated unit, you’re transformed from a clinical hospital space to one of beauty, comfort and playfulness,” said Nicole Kraftscik, the hospital foundation’s senior development officer. 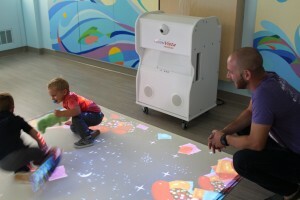 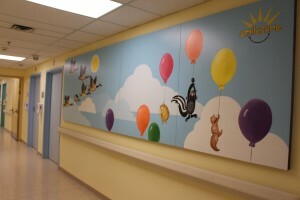 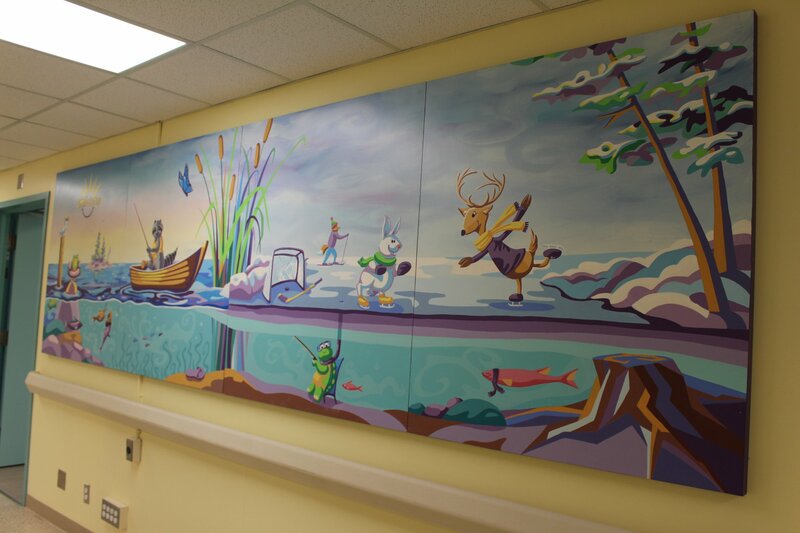 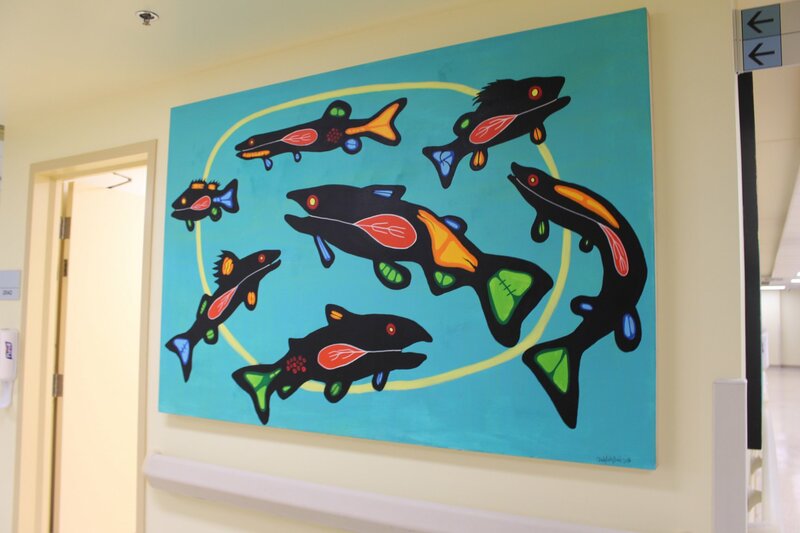 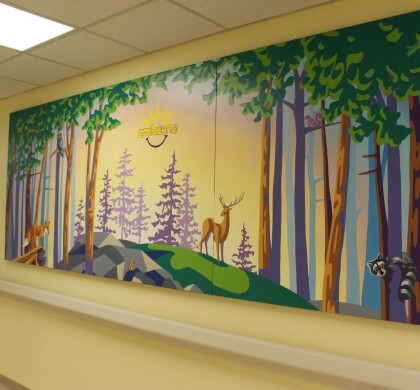 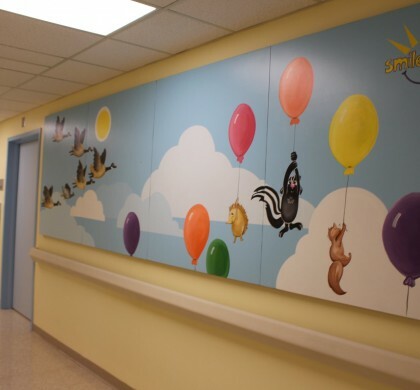 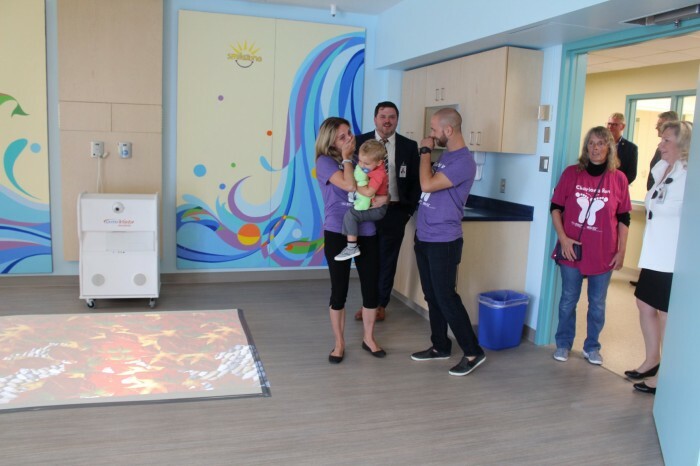 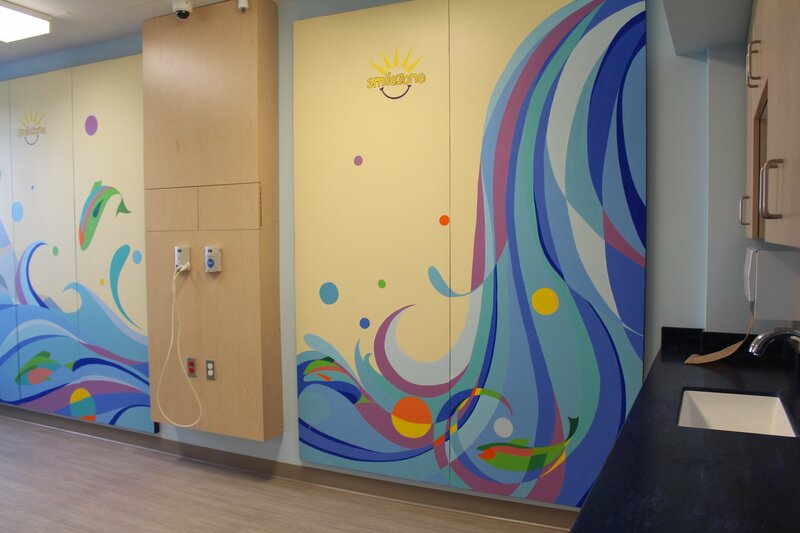 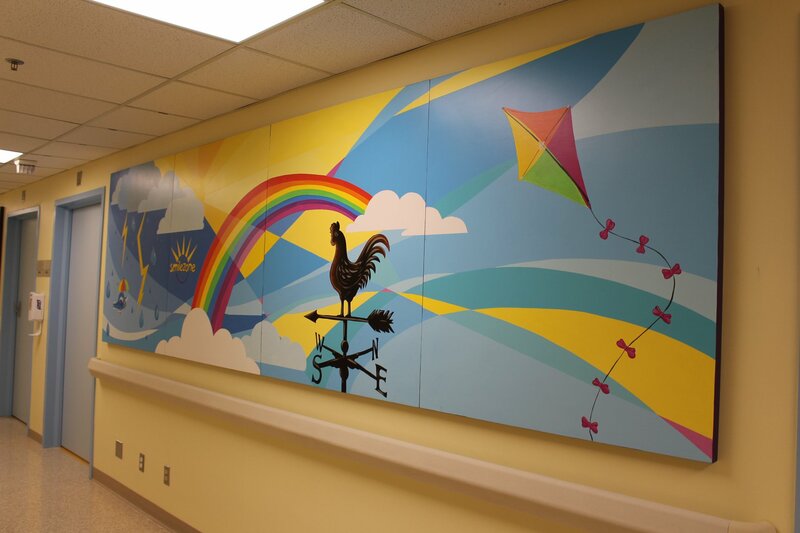 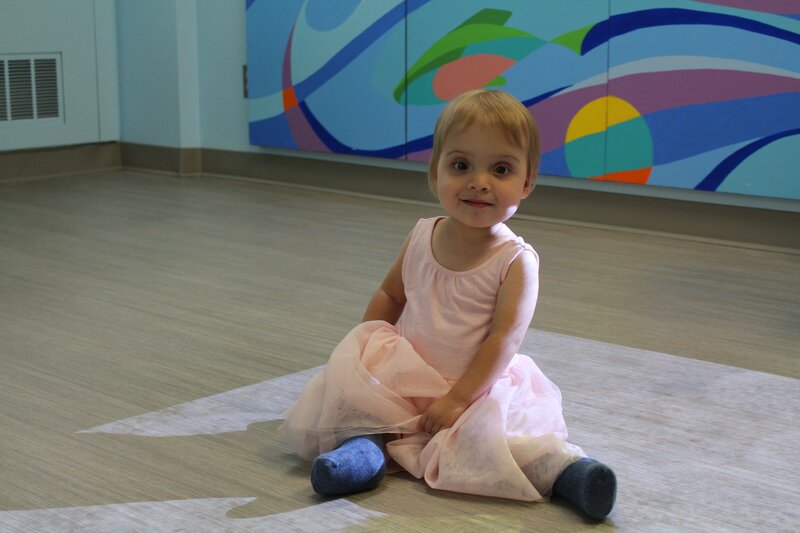 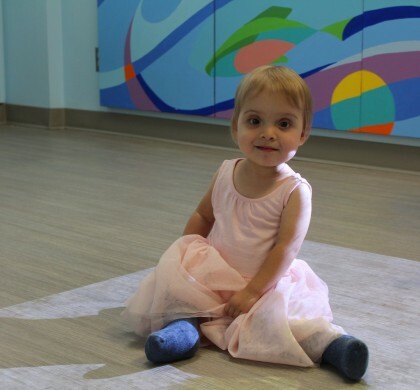 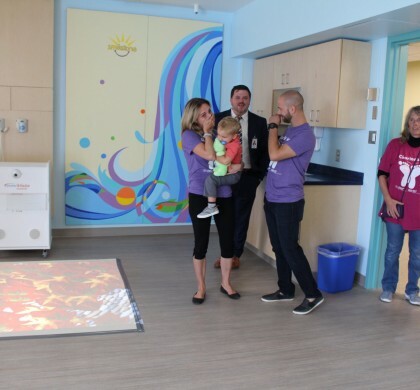 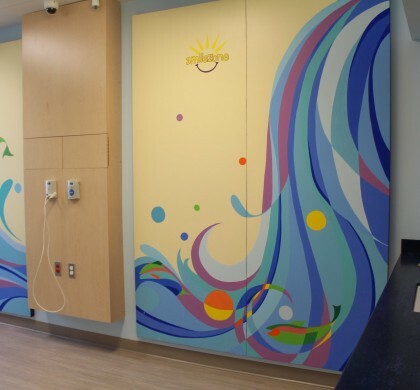 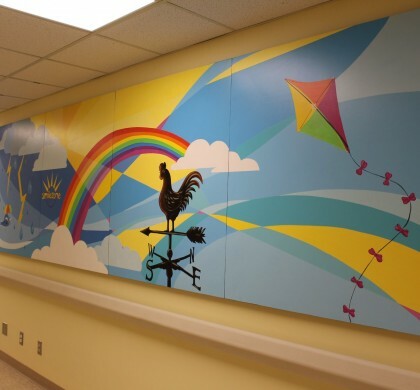 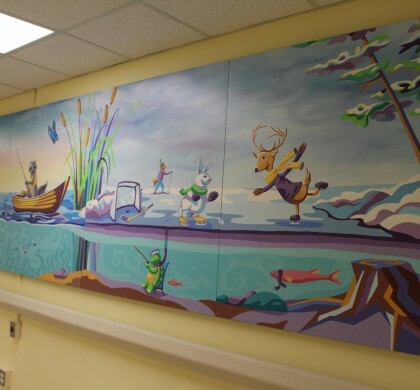 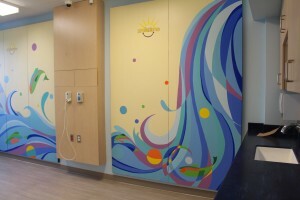 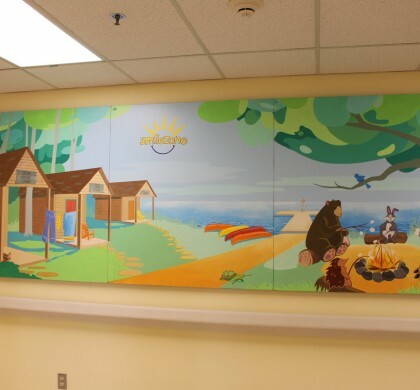 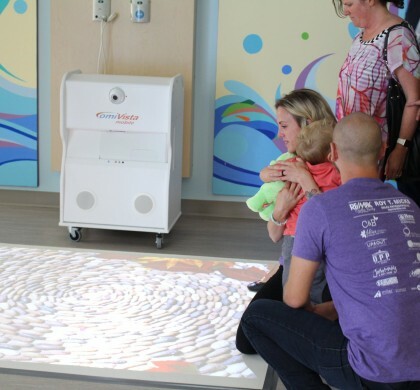 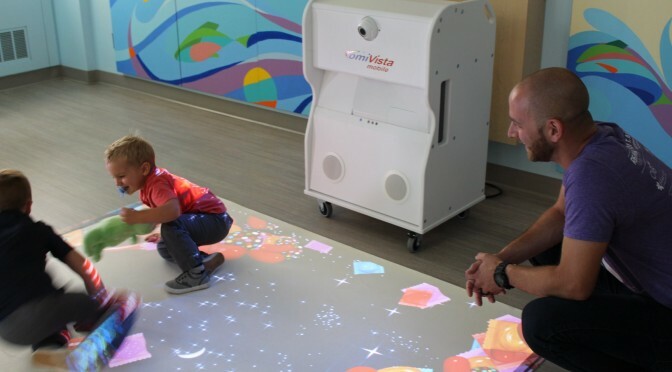 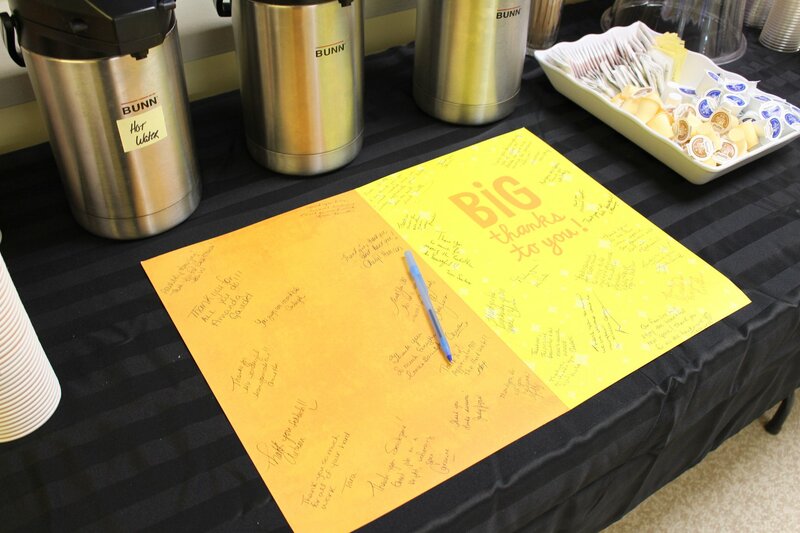 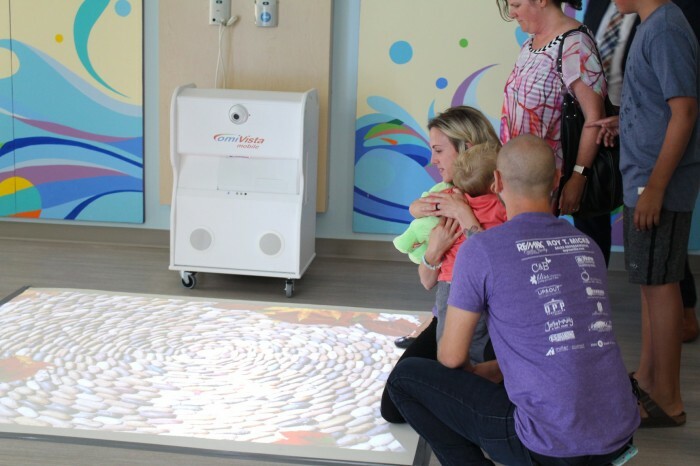 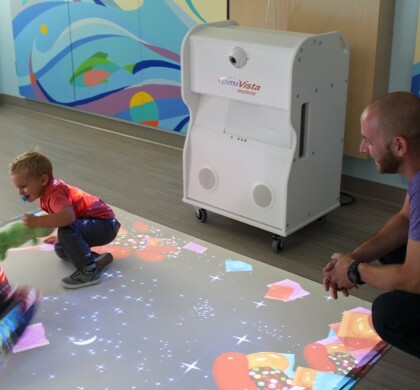 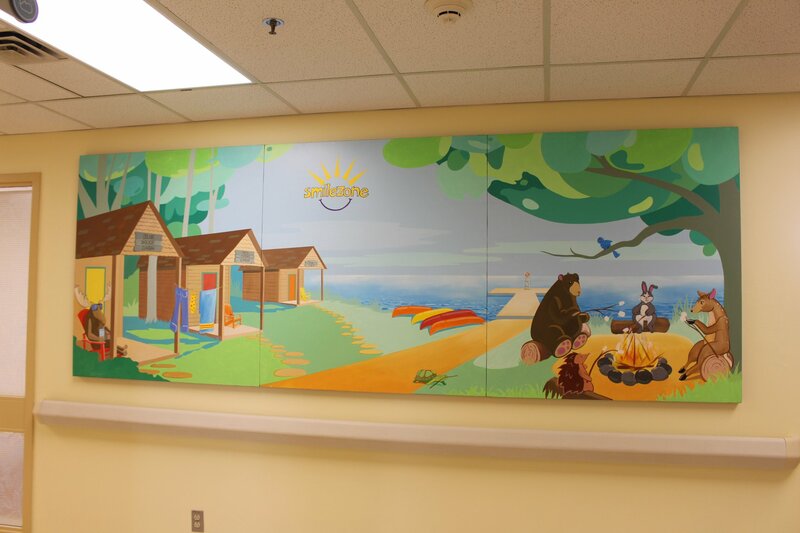 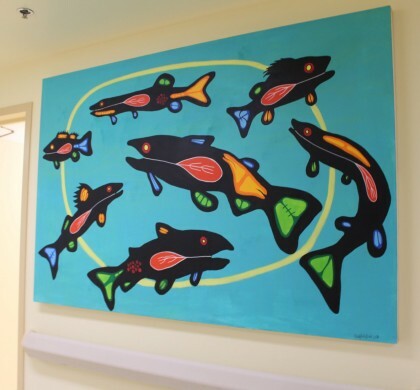 “This space has truly become one of the most beautiful spaces in the hospital thanks to the incredible work of Smilezone,” added Chief of pediatric and neonatal medicine Dr. Michelle Gordon. 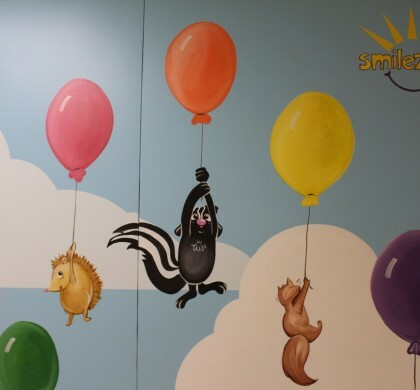 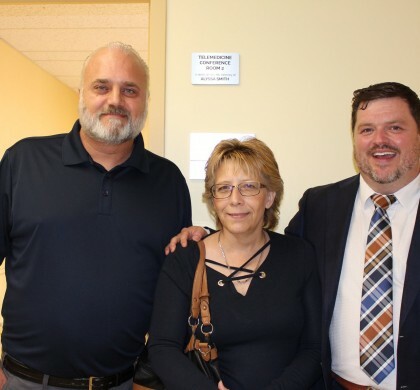 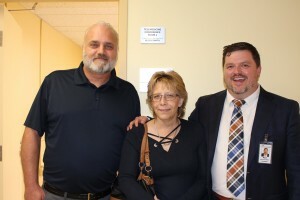 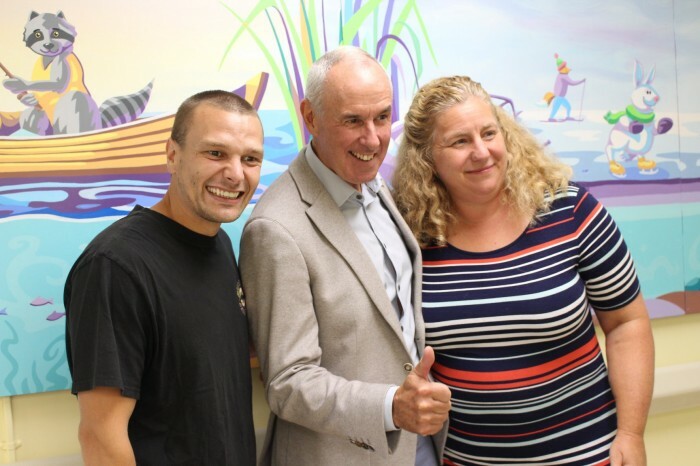 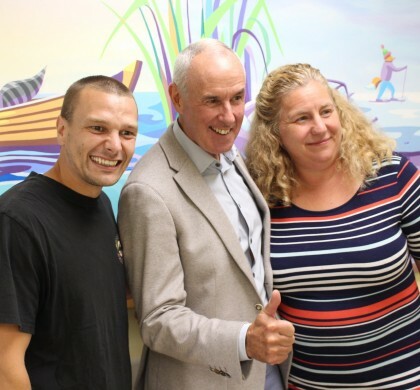 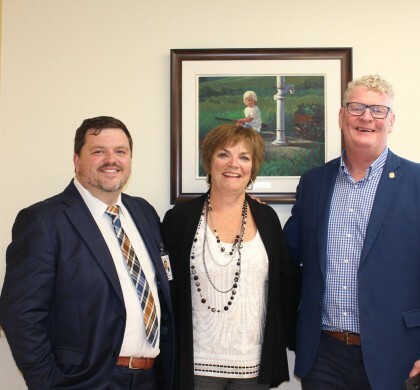 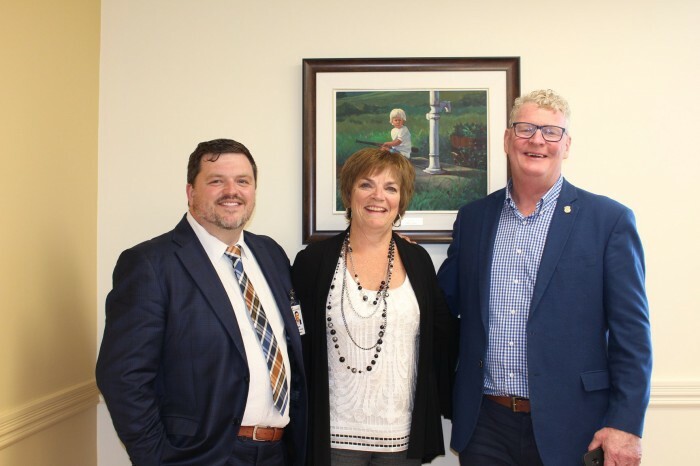 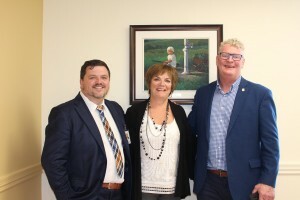 The three new Smilezones were generously supported by the Bachly family, Jackson Family, Morris Shelswell & Sons Excavating & Grading Ltd., Dearden and Stanton Ltd., and Orillia Soldiers Memorial Hospital Foundation. 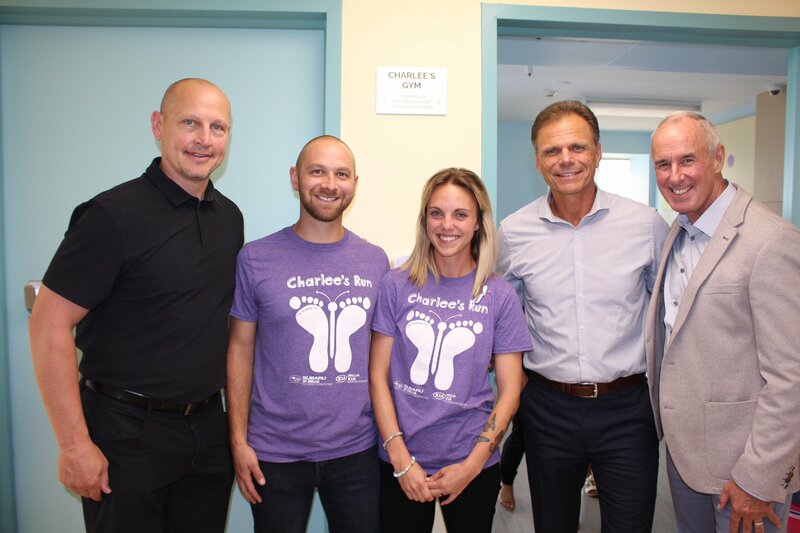 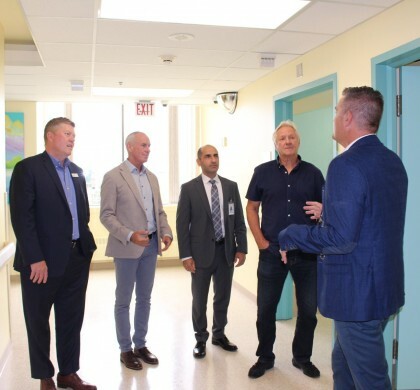 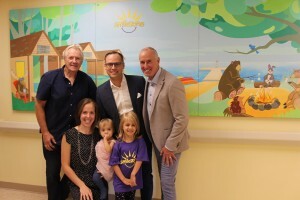 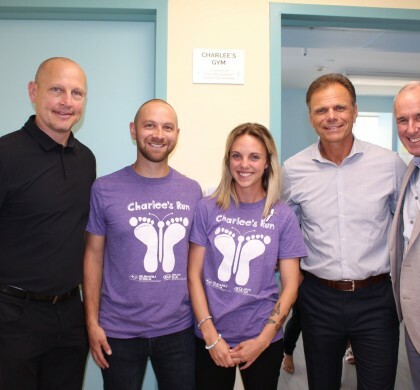 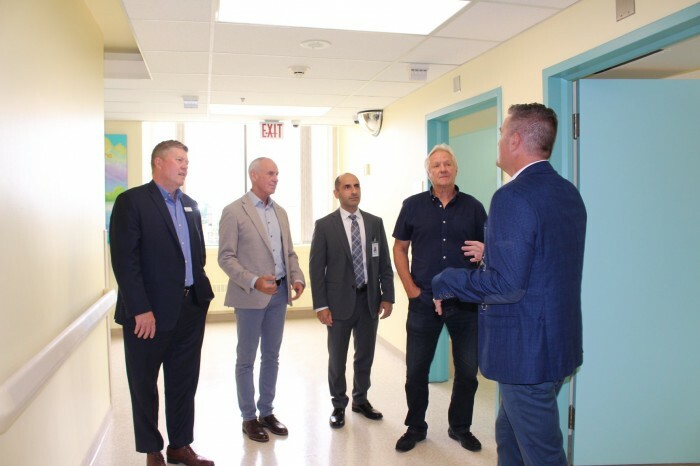 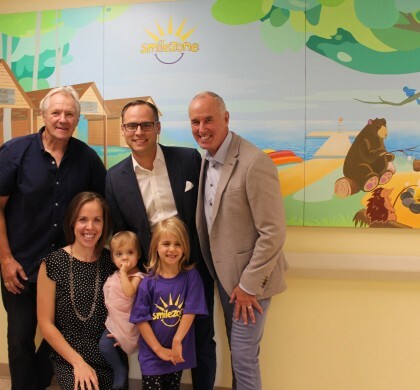 A special thank you to hockey legends Darryl Sittler, Ron MacLean, Adam Graves, Mike Gartner, Jack Valiquette, and Ron Hoggarth for helping us celebrate at the official grand opening, held on Aug 30th! The OSMH Foundation is a proud partner of Orillia Soldiers’ Memorial Hospital and the people of Orillia and North Simcoe/Muskoka. 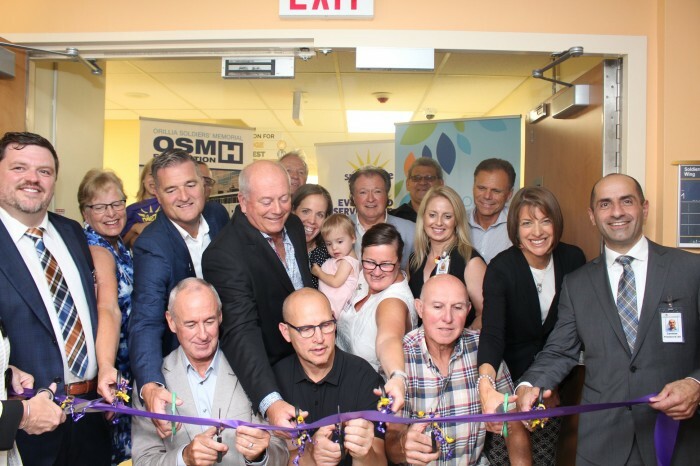 The Foundation provides funds to the Hospital to buy medical equipment, sustain programs and assist the hospital in maintaining its position as a leader in providing quality community based healthcare.